How many times have you noticed a red bump on your skin and assumed it was a spider bite without knowing where it came from? Maybe you saw a spider scurrying around recently, so the answer seemed obvious, but that’s not always the case. Almost every home has spiders. Most human-spider contact happens at home with a harmless house spider. Some spiders are dangerous, but most aren’t anything to worry about. Find out how to tell if it actually is a spider bite, and what you should if you’ve been bit by a spider. Spider bites are often blamed for mysterious red bumps or itchy spots on a person’s body, but spiders don’t bite people as often as you may think. Identifying a spider bite is easiest if you see it happen. If you don’t see it happen, you can use other clues to figure out if it is a spider bite. 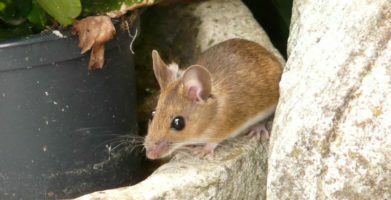 Spider bites are not very common to begin with, and they are not always noticed until after the fact. 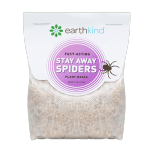 Knowing which spiders are dangerous, and which spider species are considered common house spiders will spare you from stress and worry. If you spot a spider in your home, being able to identify it and knowing how to get rid of it will bring you peace of mind. The most obvious signs of a spider bite include (but are not limited to) itching, swelling, or a raised, red bump at the sight of the bite. 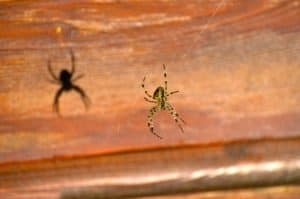 If you have noticed an abundance of spiders in your living environment, you might be quick to assume the cause of any skin irritation is a spider bite. Although dangerous spider bites are uncommon, there are a few types of spiders you should know about. The brown recluse and black widow spiders are two dangerous spiders you may encounter in North America. Click here for more information about how to identify dangerous spiders and what to do if you think you’ve been bit by a dangerous spider. If you don’t have any symptoms besides an itchy red spot, you can try rubbing an aloe vera leaf or hydro-cortisone cream on the affected area for relief. Preventing spiders in your home is a reliable way to avoid dangerous spiders. Frequent cleaning to reduce clutter (the places spiders like to hide) as well as dusting to remove cobwebs is the first line of defense to get rid of spiders. 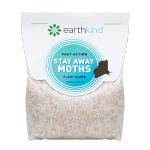 While some spiders can be dangerous, most spiders are beneficial pests that help control insect populations. 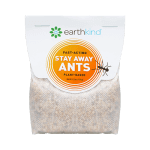 Maintaining a pest free home will lower the odds of finding a spider in your house too. Maybe you saw a spider scurrying around recently, so the answer seemed obvious, but that's not always the case. Almost every home has spiders. Most human-spider contact happens at home with a harmless house spider. Some spiders are dangerous, but most aren’t anything to worry about. Find out how to tell if it actually is a spider bite, and what you should if you’ve been bit by a spider. Spider bites are often blamed for mysterious red bumps or itchy spots on a person’s body, but spiders don’t bite people as often as you may think. Identifying a spider bite is easiest if you see it happen. If you don't see it happen, you can use other clues to figure out if it is a spider bite. Although dangerous spider bites are uncommon, there are a few types of spiders you should know about. 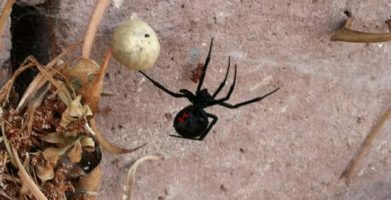 The brown recluse and black widow spiders are two dangerous spiders you may encounter in North America. Click here for more information about how to identify dangerous spiders and what to do if you think you’ve been bit by a dangerous spider. If you don't have any symptoms besides an itchy red spot, you can try rubbing an aloe vera leaf or hydro-cortisone cream on the affected area for relief. string(52) "Do Spiders Bite? 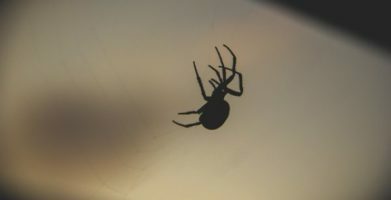 Identifying & Treating Spider Bites"